The American security firm FireEye publishes the M-Trends 2015 Mandiant, the sixth annual survey on the development of advanced cyber attacks in the world. This survey shows that organizations are discovering faster cyber attacks against them, but less than a third of them identify themselves. The sixth annual report Mandiant M-Trends. compiled from surveys conducted by specialized consultants Mandiant in 2014, “M-Trends 2015: A View from the Front Lines” details the trends and new tactics employed by actors threats to undermine the world’s largest companies. The report, compiled from hundreds of Mandiant incident response investigations in more than 30 industry sectors, also includes approaches that organizations can take to improve the way they detect, respond to, and contain advanced attacks. 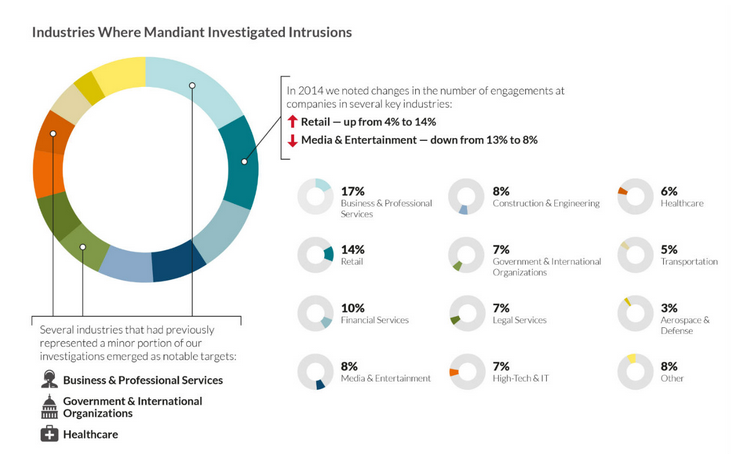 Link to the report Mandiant M-Trends 2015: www2.fireeye.com/rs/fireye/images/rpt-m-trends-2015.pdf.